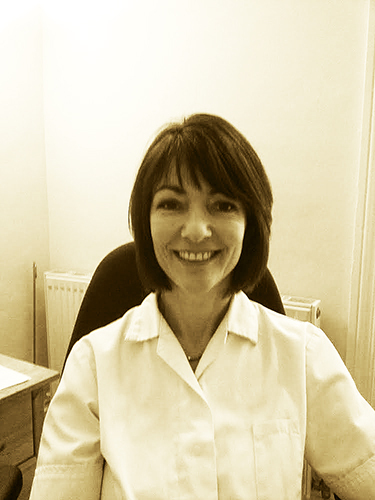 Jane graduated from the European School of Osteopathy (ESO) in Maidstone in 2002. Prior to becoming an osteopath she completed a degree in American studies at the University of Nottingham and University of Wisconsin, Millwakee and spent a year in Vancouver Canada. She has also had careers in picture framing, guilding and restoration, and project managing house and flat refurbishments in London. Jane now enjoys combining her osteopathic career with being a mum her two young daughters. She enjoys all aspects of Osteopathy, primarily being able to help patients to become pain free and have an improved quality of movement / function. She also enjoys the challenge of treating a multitude of conditions and gives all patients advice on how to manage their conditions via exercise, stretching, posture, lifestyle and treatment. Jane uses a diverse range of techniques including, articulation, manipulation, neuromuscular technique, muscle energy technique, cranial osteopathy and medical acupuncture. Jane has also studied how to use pilates to complement osteopathic treatment.